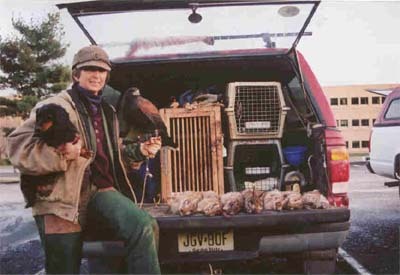 In 2019, the annual Field Meet will be held in November in an area that has lots of cottontails, squirrels, ducks and good numbers of crows. The Meet is open to all OHC members in good standing. 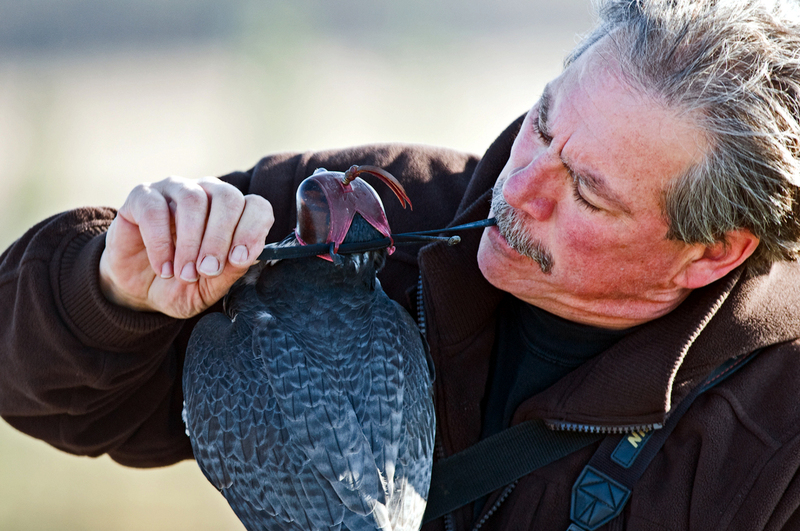 Ontario falconers who wish to attend must be OHC members; licenced falconers from Quebec, Europe, the USA and around the world are always welcome. The Field Meet Committee is working hard to find a keynote speaker who will be interesting, educational and engaging. Details to follow. Members must pre-register online. Registration opens in mid-September and closes one week prior to the event. The registration link will be emailed to Club members but it is not posted on the website. 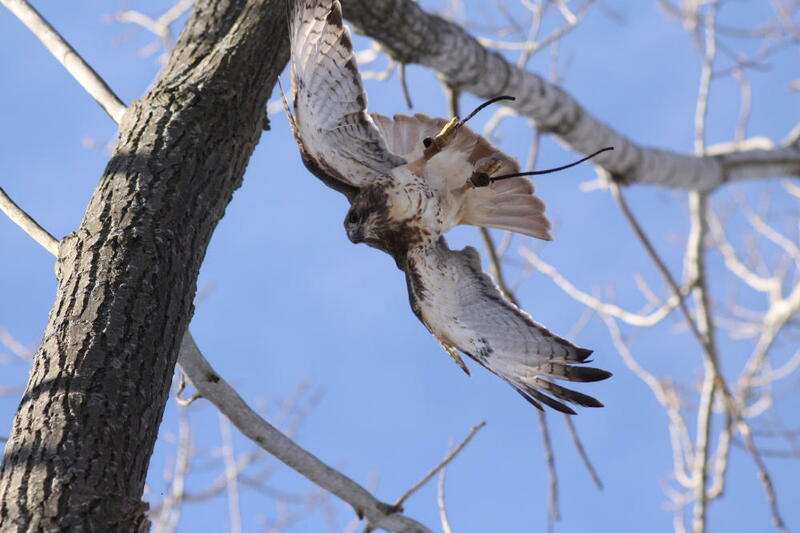 If you are not an OHC member but have an interest in attending the Field Meet, please contact secretary@ontariohawkingclub.org. The field meet will kick off on Thursday evening with a social gathering at the restaurant at the field meet hotel. There is no formal program for Thursday evening but this is a chance to re-connect with friends and make plans for the weekend. As usual, the hawking starts Friday morning and runs through Saturday and Sunday. There will be a full program for Friday evening. 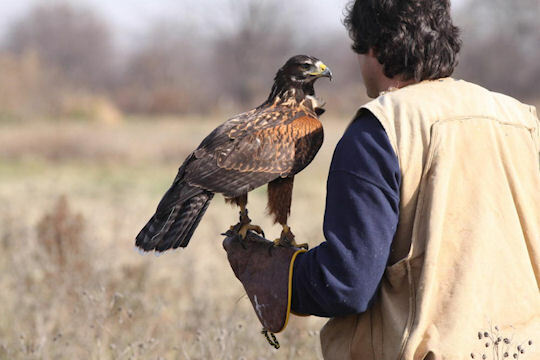 If you make or sell falconry equipment, supplies, art, hawk food, breed raptors or have a business related to falconry, then we hope you will set up a table to sell your goods. Items for sale could include gloves, leashes, bells, perches, hoods, giant hoods, hawk food, and vitamins, clothing etc. Usually, we will have a talk-show format in the evening with our guest speaker as well as a couple of OHC falconers being interviewed by our very own “Jay Leno”. It is always a fun and interesting evening. The hawking starts on Saturday morning at 8:00 am at the weathering yard. The group picture will be taken at 8:00 am sharp and then hunting groups will be organized. From 12:00-1:30, there is a Buffet Lunch at the field meet hotel. Most people return for lunch but if we don’t see you for lunch then we’ll see you at the end of the day when you’re done in the field. At 5:00 pm the cash bar opens and there is Raffle Prize drop-off at the hotel. Falconry and non-falconry items are equally welcome. The Banquet dinner commences at 6:00 pm sharp with our Keynote Speaker, followed by the Raffle. 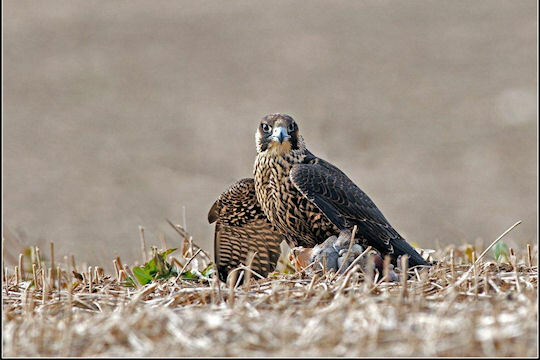 The hawking starts again on Sunday morning, with hunting groups meeting at 8:00 am at the weathering yard. No lunch is planned and the Field Meet ends informally as people head home. The raffle is always a lot of fun and is a major source of revenue for the club. Please remember to bring an item for the raffle or silent auction, and help to make this year’s raffle another great success. Falconry and non-falconry items are equally welcome.